When choosing a Napoleon Wood Stove, you have choices. 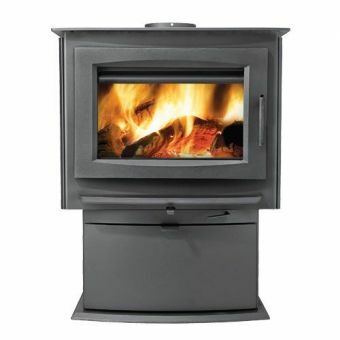 You can choose Steel wood stove or Cast Iron wood stove. The main difference is how they are manufactured. Plate steel stoves are precision cut pieces of plate steel, generally 1/4” in thickness, and are machine welded together. 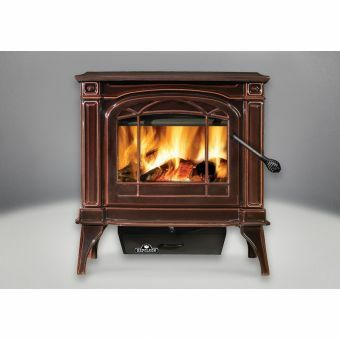 The cast iron wood stoves are assembled from molded cast iron parts. Steel stoves will heat up much faster than he cast iron but the cast iron stove will retain the heat longer after the fire has died down. Cast Iron stoves may be a little more aesthetically appealing as the molding process allows for decorative panels. Cast iron stoves have joints that may eventually need to be resealed. When choosing your Napoleon Wood Stove, size does mater. Your new stove should be sized with several factors in mind. Are you planning to heat one room or the entire home? If you plan to heat more that the room the stove is in, do you have a way to move the heat from that room to other rooms. A stove that is too large for a room will result in slow inefficient burns causing excessive creosote and soot build up and much lower efficiency. A stove that is too small for the area will be disappointing in that it will not produce the amount of heat that is desired. Woodstoves-Fireplaces has trained technicians that can make sure you are getting the correct wood stove for your application. Some manufactures of wood stoves offer catalytic models whereas Napoleon offers only non-catalytic wood stoves. While catalytic stoves may be a bit more efficient when they are new, the catalytic converter deteriorates over time and the stove becomes less efficient, eventually falling way below the level of a non-catalytic stove until the catalytic converter is replaced. Replacing a catalytic converter can be very expensive. Additionally, catalytic stoves are more expensive to purchase new.